Good News starts their shooting schedule! 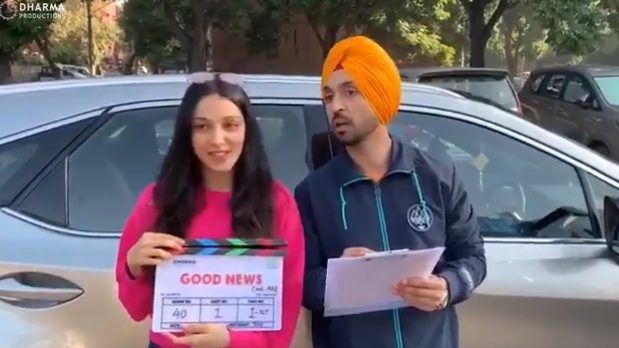 A film by debutant director, Raj Mehta under Dharma Productions, ‘Good News’ just kicked off their shooting schedule. The film has casted Akshay Kumar, Kareena Kapoor Khan, Diljit Dosanjh, and Kiara Advani in the leads. The kick off was done by both Diljit and Kiara. Akshay and Kareena will join the cast soon. Good News is based on Akshay playing a pretty contemporary role staring Kareena Kapoor as Khan as his wife. The project is based on the story of the on screen couple trying to have a baby.